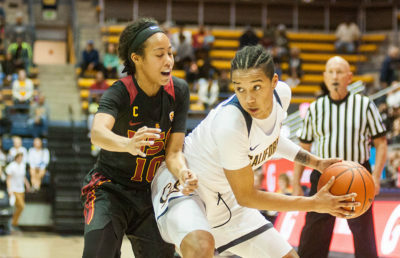 Only two Bears on the current Cal women’s basketball roster know what it’s like to take down rival Stanford at Maples Pavilion — seniors Mikayla Cowling and Penina Davidson. The Bears gave a valiant effort against their top-25 foe, but close only counts in horseshoes and grenades. Cal’s play was marred by a season-high 25 personal fouls, with every Bear who saw the court not named Cowling racking up at least three fouls. Junior Kristine Anigwe totaled four while Davidson and sophomore Jaelyn Brown fouled out in the final period. Overall, both squads produced well-rounded performances on the court, which contrasts their usual narratives of their stars commanding at the helm. For the Bears, Anigwe was held scoreless from from the field in the first half, not finding the scoreboard until midway through the third quarter. She ended the day with an uncharacteristic stat line and finished 1 of 7 from the field. As for Stanford, senior guard Brittany McPhee, the Cardinal’s leading scorer, was relatively quiet from the field, shooting 5 of 20 and 1 of 5 from beyond the arc. While the Bears’ household named faltered, the rest of the roster proved that they have talent that can stand out on its own. 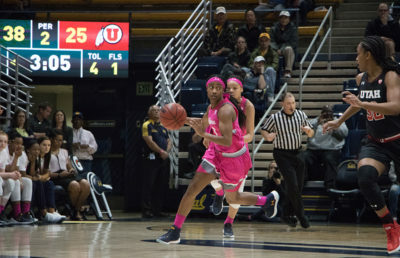 Junior Asha Thomas had a team-leading 20 points along with four assists, and Cowling had a showing of her own with 14 points and five assists. The first 10 minutes of play were all Stanford as it led 22-13 heading into the second period. The Cardinal silenced the Bears early, as they established a 9-0 run before even two minutes of play. But by the end on the first half, the Bears had bounced back and actually grabbed the lead before the Cardinal held a 37-35 at the halftime buzzer. For the first time in recent memory, Anigwe started the second half from the bench in favor of sophomore center CJ West, another Bear who pitched in solid minutes in the first half. West, along with Brown, put together 19 points of the bench, with nine and 10, respectively. 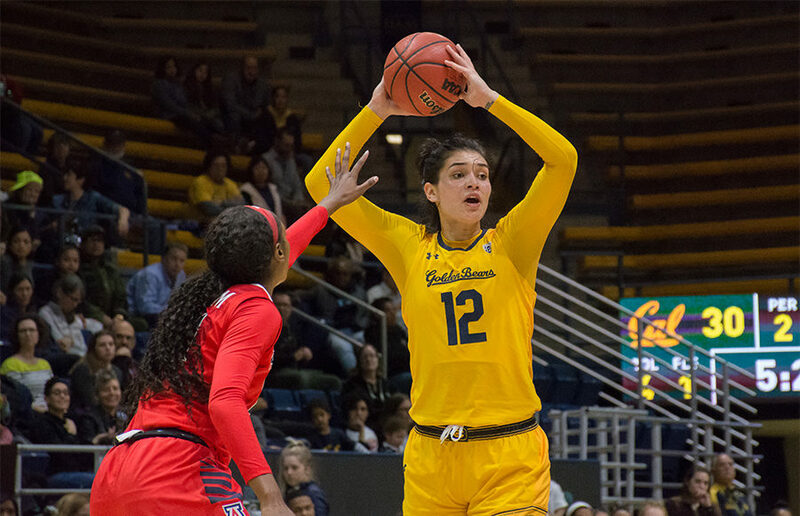 Down 68-57 with 1:54 to play, Cal put together a desperate comeback attempt to the tune of multiple threes, but clutch free throw shooting from Stanford sealed the deal for a sixth time straight over the Bears. This loss marks the ninth time Cal has fallen to a ranked squad this season. And still, not one player on Cal’s team knows what it feels like to conquer Stanford on their home turf. But let it be known that the Bears have a shot at their own rendition of a Cinderella story with a rematch at Haas Pavilion on Saturday afternoon: They can rack up at their first win over a ranked opponent and beat their rival — chopping down two trees with one axe. The team can also send its two seniors off with a feeling of nostalgia of their younger days at Cal as they lace up their sneakers for their last game in Berkeley.